Whether you’re seeking action-packed adventure, or some quality R&R, there’s nothing better than a seaside holiday – and Queensland’s Gold Coast is one of the best places to find it. With kilometres of pristine beaches on offer, amazing surfing, fishing and boating, and top class restaurants and entertainment, the Gold Coast has everything. And right now you can snap up some amazing offers, too! Look online and you’ll discover some excellent Surfers Paradise and Broadbeach accommodation deals, to suit every taste and budget. But a word of advice – be sure to check out what resort facilities and services are included. Whether you’re paying top dollar, or you’ve picked up a great deal, you must have full access to all the resort’s facilities. And those facilities can differ greatly between resorts. Among the great Broadbeach accommodation deals available at the moment, for example, you can snap up an amazing package at the Phoenician Resort, where you’ll enjoy not just one, but TWO swimming pools, including an indoor pool. The Phoenician also includes a couple of spas, sauna, gym, and is just footsteps from the beach – perfect! 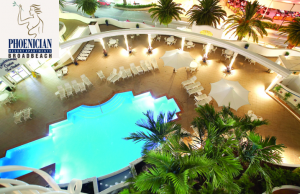 Many of the resorts are close to the beach, including the Sierra Grand Resort, while others, like Q1 Resort and Spa, are located in Surfers Paradise – a great location for those who like it loud and busy. Good resort facilities and services can really make your holiday, I believe. I mean, who doesn’t enjoy wandering downstairs to the hot tub or indoor pool and chilling out? And holidays are the perfect opportunity to indulge in some pampering in the sauna, or to get fit in the gym. I tend to avoid resorts with limited facilities, even if they are close to the beach. I like the choice. For example, if you’re snapping up a hot winter deal and you want to swim, you’ll probably be keen on that indoor pool. And if you’re taking a break with the family, it’s good to know the kids are safe and secure within the resort grounds – especially when you can make use of the resort’s great BBQ areas. When you check out the facilities in the resort apartments, you’ll be amazed by the great value offered by these Broadbeach accommodation deals. For example, huge beds, spacious living areas, private balconies, fully equipped kitchens, Austar, air-conditioning – the list just goes on. And you should consider all of these factors when checking out resort facilities and services. Location is obviously important, too. A great deal isn’t such a great deal if you’re stuck out of town! Broadbeach accommodation deals offer you proximity to all the highlights, including the beach, the famous restaurant strip, Jupiter’s Casino, major shopping centres, trendy cafes and, of course, the glorious Broadbeach markets. Broadbeach resorts also put you within easy driving distance of the ever-popular theme parks, and the picturesque Hinterland. All these factors need to be considered when choosing a holiday location – and they all can be available as part of a really hot accommodation deal, too.